Post Graduate training in Choral Conducting, Early Childhood Music, Classical Choral Conducting, and Composition. "Brenda is a wonderful teacher. She gave specific and clear advice and instructions that was incredibly helpful in preparing me for my recording session. 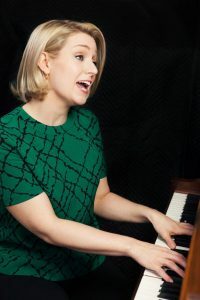 The situational advice she gave leading up to the session also made it possible for me to relax and focus on the music rather than my technique, and I am very grateful." “I've been studying with her for just over a year and a half and can truly see improvement and movement towards my goals. I'm never afraid to be myself, ask questions, or make the mistakes I need to make in order to take my skills to the next level.."
"Brenda's method of teaching piano has helped to clear out the cobwebs and given me a practical base for improving my piano skills. It's practical, it's thorough, it's challenging, and it's fun."